This film takes full advantage of the in your face 3D special effects. There was probably one key moment in the middle of the movie where one of the effects may actually have you ducking and dodging a bit with how real it looked. 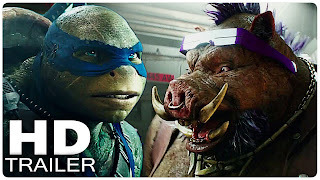 If you're a fan of the Turtles cartoons, then you'll more than likely appreciate both BeBop (played by Gary Anthony Williams) and Rocksteady (played by Stephen Farrelly). They were definitely captured in their truest form with their comedic and off-beat characters. (Especially if you like fart jokes) This goes for the Turtles as well. If you enjoyed their unique personalities from the previous film then you'll be satisfied with how they are basically the same. Brian Tee, who plays "Shredder", initially appeared to be a truly menacing character, in the beginning of the film. Although as it progressed, you soon realized that his entire character was pointless and wasted. I don't even know if he threw one single punch at ANYONE. execution, in my opinion, was simply poor. The writing is probably what hurt this movie the most for me. 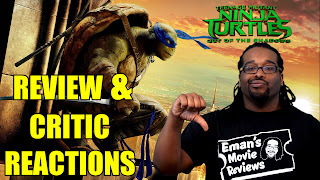 In the previous movie, this new reboot of Ninja Turtles has a much more serious tone while still maintaining some humorous and entertaining moments. This movie on the other hand was all over the place with over the top plot and twists. The story tried to fit in a bunch of different things that never really felt fully developed. Everything with Krang was rushed including his random out of the blue introduction. Even the big scene in Brazil felt randomly inserted into the film and out of place. Seemed like just an excuse to have some special action sequences, but never mind how they got there, or how they get home or any other details that require thought. *Sigh* I guess you can call me biased. I am one of those millennials who grew up watching the Turtles cartoon in the 90's. So as with any of my reviews, take it with a grain of salt. I think that this movie is very self aware of itself in knowing that it's not set out to be serious. My issue with it is that if this was the route they wanted to take, then they should've just set that tone with the previous movie from the beginning. If you can recall, these more recent films are polar opposites of one another the same way that Teenage Mutant Ninja Turtles (1990) was to Teenage Mutant Ninja Turtles 2: Secret of the Ooze (1991). The first being a more serious film with humorous moments, and the second being wacky and cartoonish. TMNT 2: Out of the Shadows is exactly the latter. Honestly this probably would've just played out better had it been a cartoon. 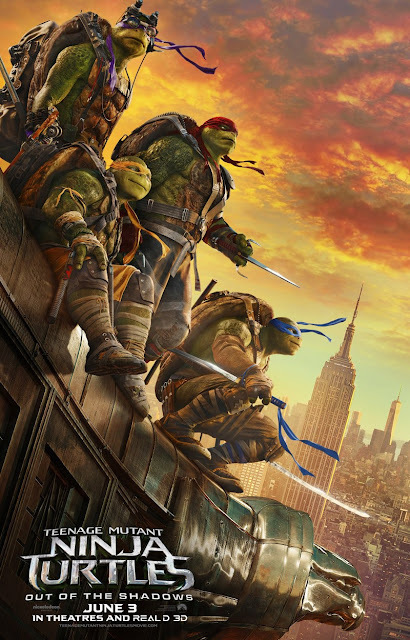 If you enjoyed the previous TMNT (2014) then don't expect this sequel to anything like it.